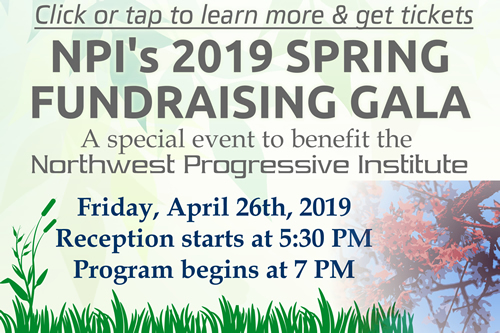 With the season of renewal less than a week away, and NPI’s 2016 Spring Fundraising Gala not far behind, it’s now time for us to announce who the final speaker at this year’s gala will be. Previously, we had the pleasure of revealing that U.S. Representative Adam Smith would be our keynote speaker and Tina Podlodowski would be our master of ceremonies. We also announced that we will be honoring U.S. Representative Jim McDermott for a lifetime of public service. 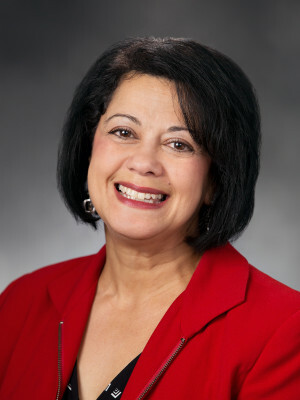 Tonight, we’re thrilled to announce that State Representative Lillian Ortiz-Self of Mukilteo will help anchor this year’s speaking program. Representative Ortiz-Self was appointed to the Washington State House of Representatives two years ago, succeeding fellow Democrat Marko Liias, who moved over to the Washington State Senate. Both represent the 21st Legislative District. Aside from her service as a state lawmaker, she has co-chaired the Educational Opportunity Gap Oversight and Accountability Committee, and was a member of the Governor’s Commission on Hispanic Affairs, the Achievement Accountability Workgroup, and the Student Discipline Task Force. As a counselor at the Everett’s North Middle School, Representative Ortiz-Self understands firsthand the importance of fully funding our public schools. She currently serves as the Vice Chair of the House Education Committee. She also sits on two other committees: Transportation and Early Learning & Human Services. Last week, during the long and sometimes tedious House floor debate over Steve Litzow’s bill to divert lottery money to charter schools (2ESSB 6194), Representative Ortiz-Self brightened up the House chamber a bit by introducing an amendment requiring that members of the Washington State Charter School Commission and members of charter school boards file personal financial affairs statements (F1s) with the Public Disclosure Commission, just like legislators and school board members do. Republicans were initially opposed to the amendment, but after hearing Democrats’ arguments in favor of it, Matt Manweller stood up to say, “You’ve won us over”. Most Republicans subsequently voted in favor, and it passed. It was one of the few amendments that the Republicans and the Larry Springer-led pro-charters faction of the House Democratic caucus agreed to add to the bill. Representative Ortiz-Self voted against 2ESSB 6194 on final passage. We greatly appreciate both that courageous “no” vote and her work on the transparency amendment that the House agreed to add. We desperately need more champions for Washington’s youth like her in the Legislature. We hope you’ll consider joining us and our distinguished speakers at our eighth Spring Fundraising Gala on April 1st. If you haven’t yet bought your ticket yet, we urge you to do so now using one of the buttons below. Click above to buy a ticket using a credit card. If you’d like to RSVP for the gala on Facebook, you can do so here. Students who want to volunteer to help put on the event can get in the door free. If you’re interested in volunteering, please get in touch with us. In the weeks to come, we’ll be sharing more details about our 2016 gala, including the names of our other speakers. We hope you’ll help us make our biggest event of the year a success by buying your ticket and committing to attend.